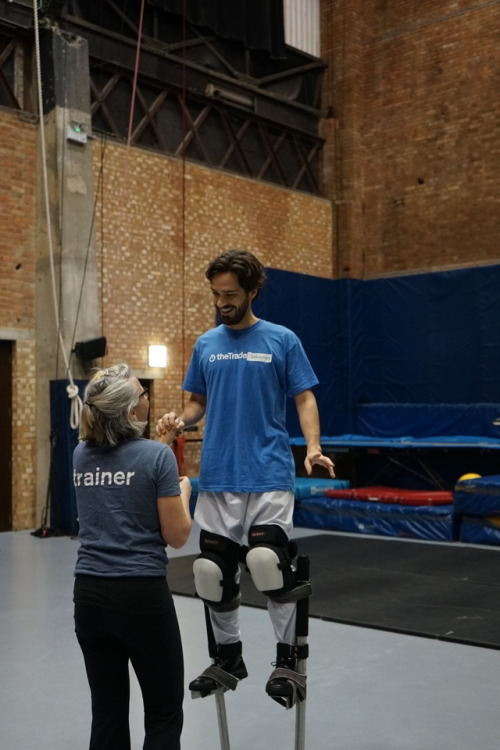 Our team building packages offer a great selection of circus skills at a set price, hosted in our professional circus training spaces in Hoxton. Choose between 2.5 and 3 hour sessions. These workshops can usually accommodate up to 50 people on a Wednesday or Thursday, although other days and larger group sizes are sometimes available. See below for further information and contact details. Learn acrobatic balancing, tightwire walking and juggling. £850 for up to 11 people, then £75 per person. 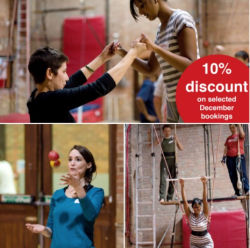 Learn acrobatic balancing, tightwire walking, juggling and stilt walking. £1,000 for up to 11 people, then £85 per person. To find out more, check date availability or book please get in touch on workshops@nationalcircus.org.uk or 020 7613 8258.